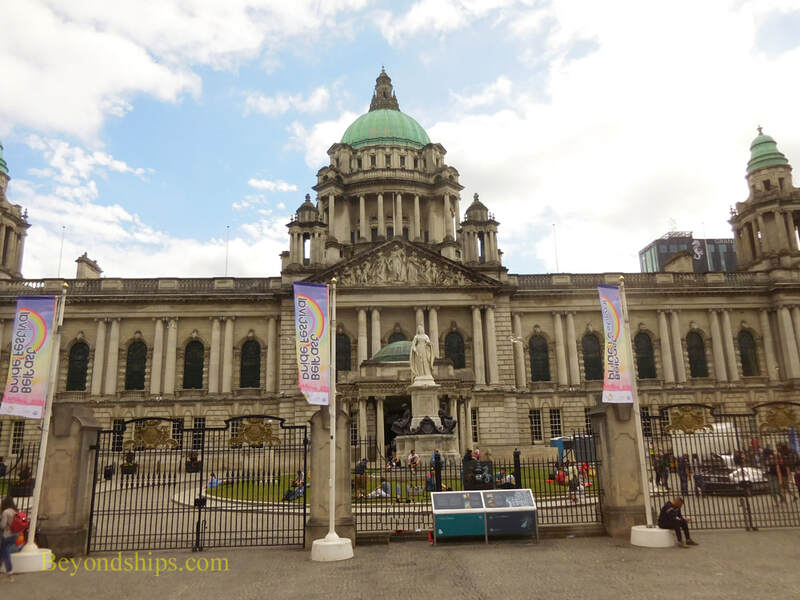 This page looks at some of the attractions and points of interest in Belfast. Two gantry giant cranes dominate the Belfast skyline. 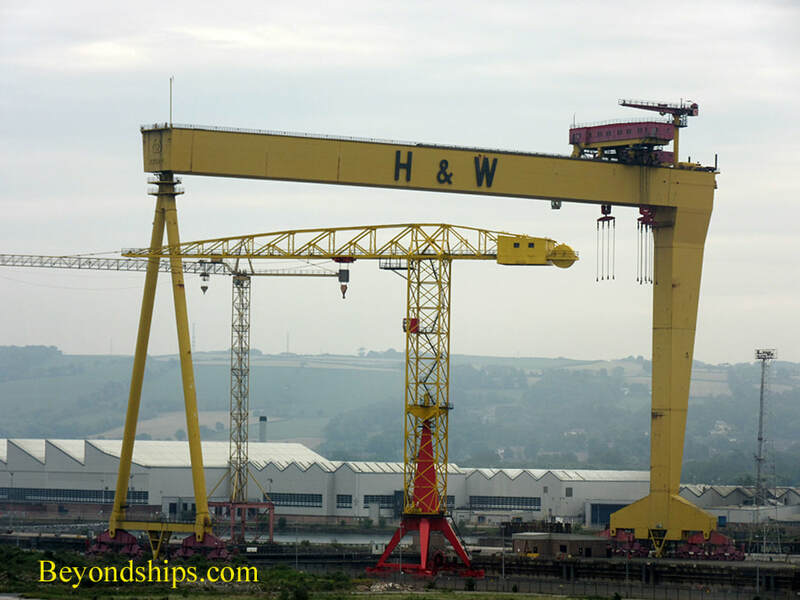 They are called Samson and Goliath and were built by Krupp for Harland & Wolff shipbuilders. Goliath was built in 1969 and stands 315 feet tall. Samson is 348 feet tall and was completed in 1974. The two cranes straddle one of the world's largest dry docks. They were designed to move heavy loads, up to 840 tons, in the shipbuilding process. 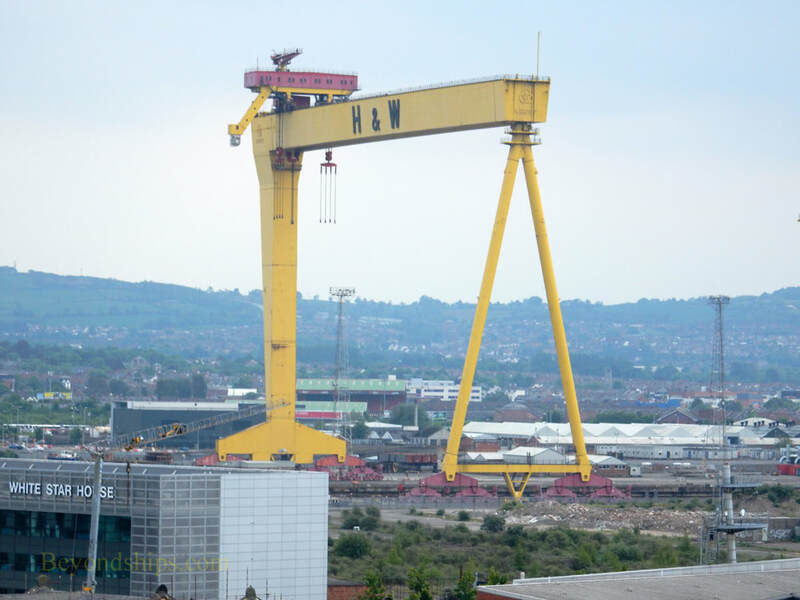 Although Harland & Wolff has restructured its business away from shipbuilding, the cranes are being preserved. In 1995, they were officially scheduled as historic monuments. The Grand Opera House (right) is a theater built in 1895 in the elaborate Orient style. It was restored in the 1970s and now is a venue for opera, musicals and other live performances. 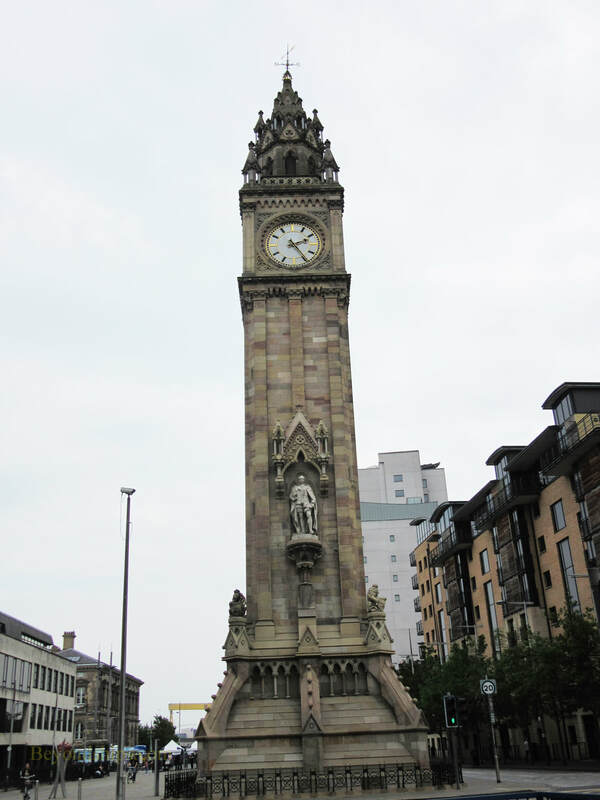 The Albert Clock was built in 1865 in honor of Queen Victoria's consort, Prince Albert. It was done in the Gothic style and features a large statue of Prince Albert. Because it was built on wooden piles on land reclaimed from the River Lagan, it has a slight list. Belfast City Hall is the center of the city center. 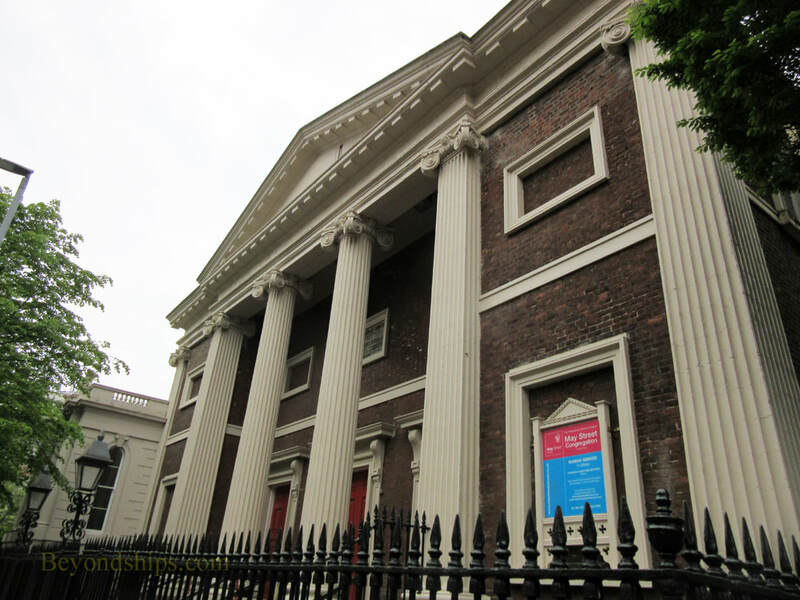 The building uses Portland stone and is designed in the Classical Renaissance style. 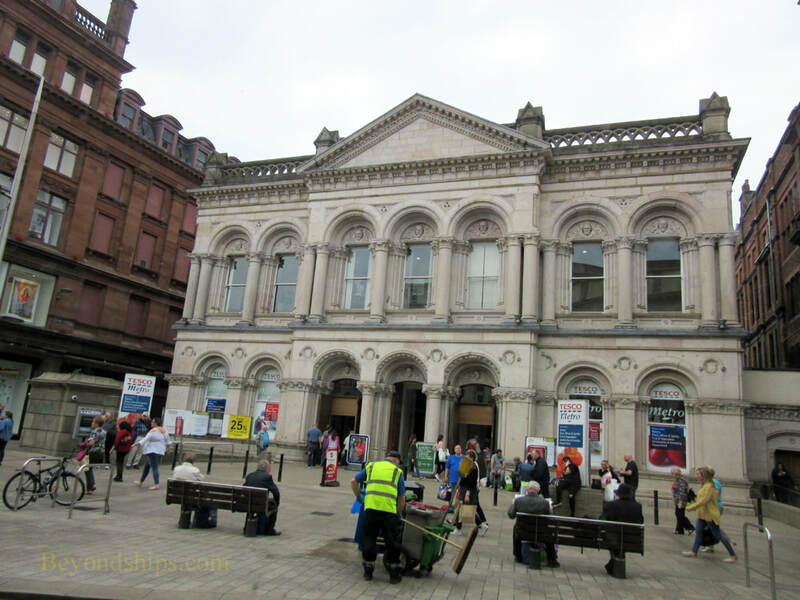 It opened in 1906 and today is the home of Belfast's Council. Free public tours are available. 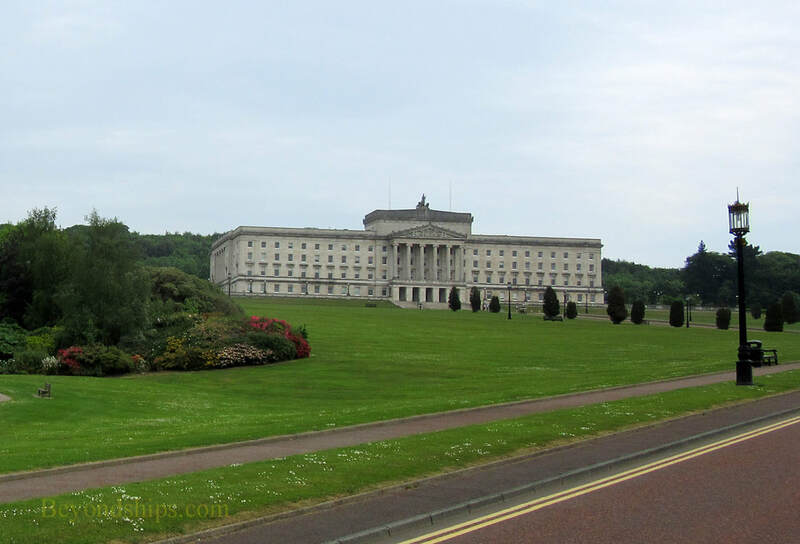 The Stormont Parliament Buildings are the home of the Northern Ireland Assembly, which was created as a power sharing measure as a result of the Belfast Agreement of 1998. 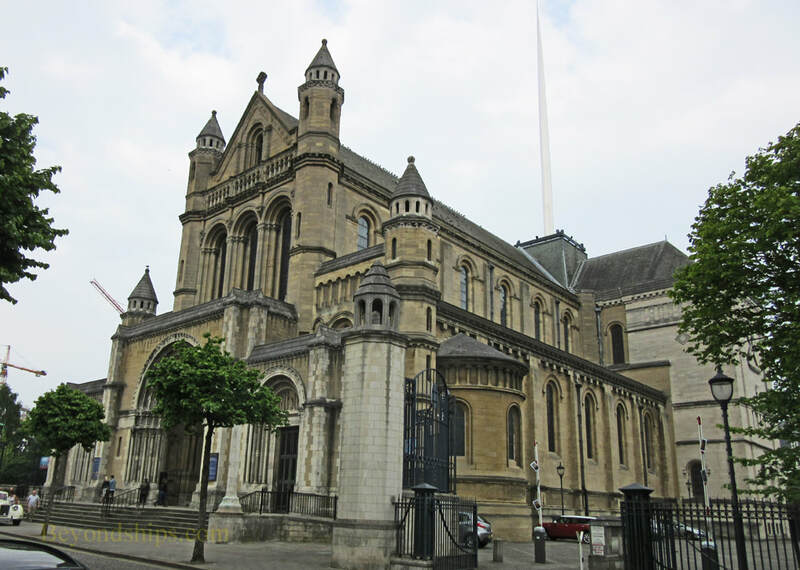 The buildings were originally built at a cost of 1.7 million pounds to house the government of the province of Northern Ireland in 1921 The architect was Sir Arnold Thornely. The buildings sit in a well-manicured park. Built in in 1914, HMS Caroline is a light cruiser that fought in the Battle of Jutland, the largest naval battle of World War I. (She is believed to be the only ship from that battle that still survives). 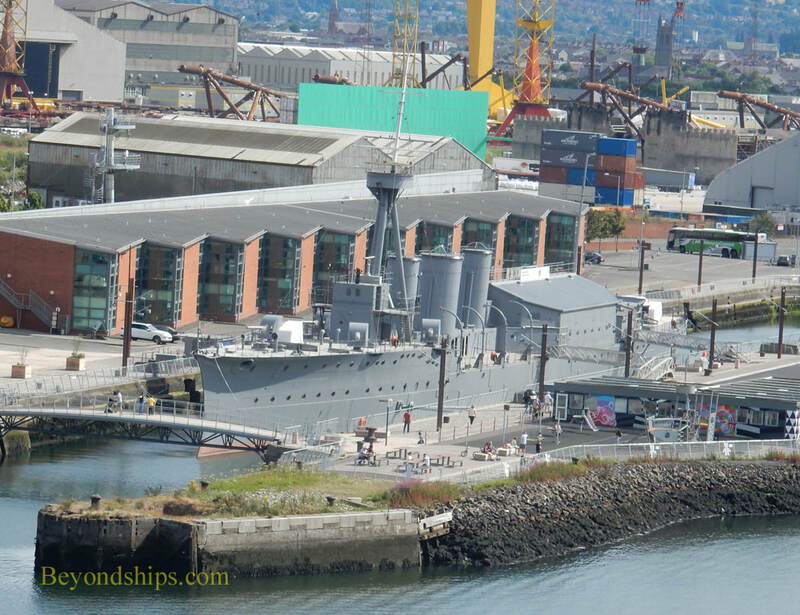 Following the war, in 1924, she was brought to Belfast and converted into a headquarters ship for the Royal Naval Reserve. She is now a museum. HMS Caroline occupies the Alexandra Graving Dock. This berth was built between 1885 and 1889 as a fitting out facility. 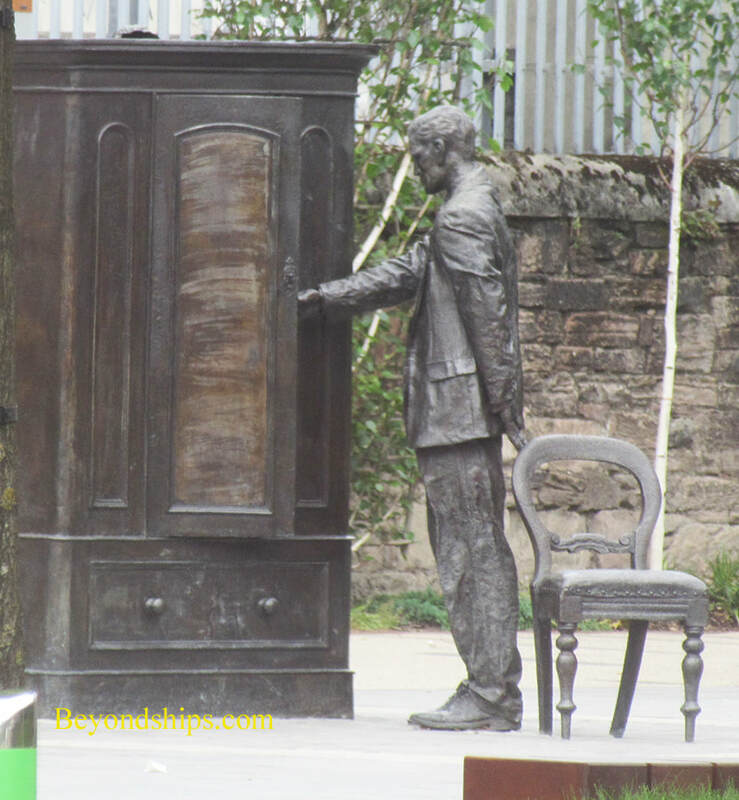 CS Lewis Square honors Belfast-born author CS Lewis, best known for The Chronicles of Nambia. The square contains seven sculptures relating to Lewis' stories. 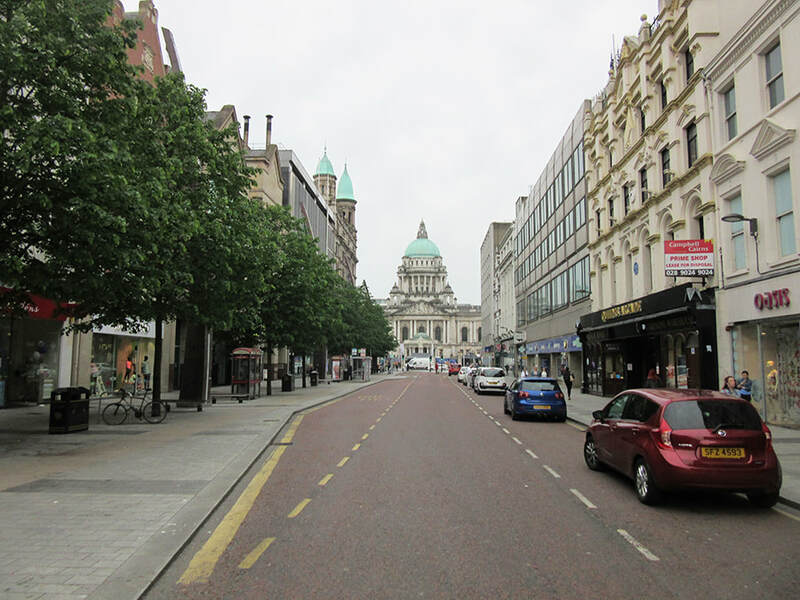 Walking around the city center, you find many architecturally interesting buildings such as the Provincial Bank of Ireland Building (below left) and the May Street Church (below right). The original Belfast Castle was in the center of the city. However, it burnt down in 1708. In 1811, the 3d Marquess of Donegal decided to build a replacement but outside of the city center on the slope of Cave Hill. 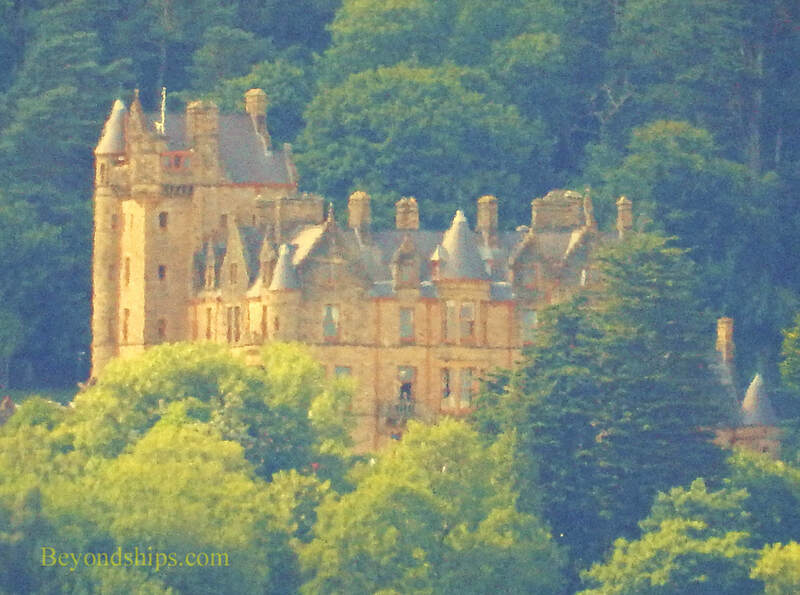 Designed in the Scottish baronial style, the new Belfast Castle was not completed until 1870 by which time the property was owned by the 8th Earl of Shaftesbury. It was presented to the City of Belfast by his son in 1934. Restored, the castle is now open to the public.